In some counties in California, judges have caseloads of more than 1,000. Photo: 123rf.com. A bill in California has been introduced that would determine a caseload standard for dependency court judges who preside over child welfare proceedings. Assembly Bill 859 would require the state legislature to analyze the current average caseloads in the county-run dependency court system and identify an “appropriate” cap on the number of cases these judges could carry at any given time. This limit, bill supporters say, would allow judges to spend more time working with families caught up in complex and high-stakes dependency court cases. “A judge’s dependency caseload must permit the judge to review relevant documents in detail, to question assessments and arguments of lawyers and social workers, and, perhaps most importantly, to get to know each child and be able to track the child as the child changes and grows,” the bill text states. There’s currently no data on the current average caseload, according to Robert Fellmeth, executive director of the University of San Diego School of Law’s Center for Public Interest Law (CPIL) and the Children’s Advocacy Institute, both of which are sponsoring the bill. Fellmeth estimates that the average judicial caseload in dependency court is likely between 500-1,000 cases per judge across the state, depending on the county. He calls this “judicial malpractice for the most important legal function of the state:” serving as the legal parent for children who have been victims of abuse and neglect. In Los Angeles County, there are 28 full-time dependency courtrooms, which handle an estimated 34,000 open child welfare cases. That works out to an average of more than 1,200 cases per judge. In a recent dispatch from The Chronicle of Social Change’s “Hearings” series, reporter Jeremy Loudenback watched one judge hear 23 cases involving 38 children in the course of one day. Victor Greenberg, presiding judge at LA County’s Edmund D. Edelman Children’s Court, says more time allows judges and families to understand one another, which is significant as families stay with the same judge throughout the lifetime of their case. Robert Fellmeth, director of the Children’s Advocacy Institute: “The more time the judge has, the more information [she] has, the more time a judge can spend with a kid, the better.” Photo courtesy of CAI. “When parents feel that the court isn’t giving them the time that they deserve and need … they lose confidence in the system, which works to their disadvantage because they become less willing to cooperate with the orders the court has made to rehabilitate,” Greenberg said. Greenberg said while he believes the judges in his court do a good job of giving each case as much time as possible, he knows they would like to be able to afford them more time. Determining the statewide average — and bringing that information to the attention of lawmakers and the public — is a key part of this bill, Fellmeth said. Based on the level of concern around caseloads for the lawyers serving these kids, he believes once people realize how many children each judge is responsible for, the standard will be set at closer to 200-300 cases per judge. Fellmeth is not aware of any jurisdictions with caseload standards for judges, but he said it’s not as big of an issue in areas with a smaller number of child welfare cases. The issue arises more often in more populous states like California, New York and Florida. A similar analysis was implemented for California dependency court lawyers in 2001, as a result of Senate Bill 2160. The findings determined that a cap of 141 cases was required for the “base-level standard of performance,” and 77 for best practice performance. At the time of the study, the average caseload was 273. In 2007, the Judicial Council of California adopted a caseload standard for dependency lawyers of 188 cases per full-time attorney when supported by a half-time investigator. But without sufficient funding, caseloads remained high for years after the standard was set, averaging 325 cases per attorney between 2009 and 2015. It was just in the past couple of years that the state budget allocated enough funding to bring caseloads down to the Judicial Council’s 2007 standard. Funding was the key issue that delayed implementing the attorney caseload standard by so many years following the analysis, and it promises to present challenges in this process as well. AB 859 does not suggest a mechanism or process for capping judges’ caseloads, which would be significantly more difficult than limits on attorneys. 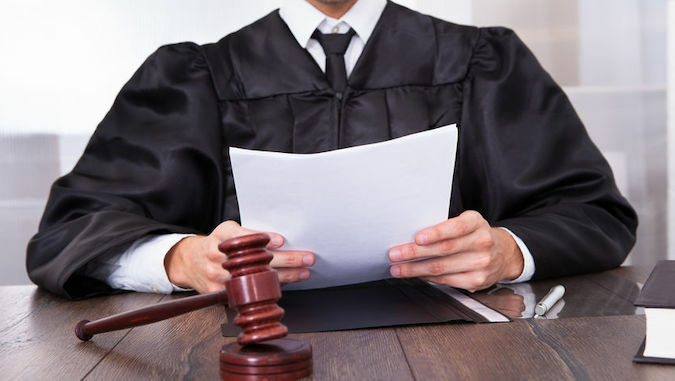 There are a finite amount of judges on the bench — capping their caseload could not come at the expense of cases being long-delayed or going unheard. Fellmeth suggests that there are different ways to format the reform to make it feasible, like hiring magistrates to assist judges with pre-trial hearings and other tasks to reduce the number of additional full-time judges needed. AB 859 has been referred to the Committee on the Judiciary and faces a hearing on March 26. If the bill were to become law, it would instruct the legislature to return a report on the results of the caseload analysis by January 1, 2021. Daniel Heimpel contributed to this report.